In my experience, each one of us has unique artistic DNA that can color every aspect of our work and bring out our Original Voice. If only we let it inform our decisions. I don't mean just our big decisions, but also every one of the small choices forming our technique. This process is is similar to polishing a mirror so that it perfectly reflects our aims as artists. I have spent many years trying to make a Teaching Model work for me. But it never fully resonated and my students felt it. Once I came across the Coaching Model everything clicked into place. In a teaching role I would often ask myself why should I be teaching you my methods and ways? I am already on this particular path. Why don't we spend our time finding your unique path? Let's strategize to make a place for your voice in your own chosen art form. This is the coaching model in a nutshell. While creative coaching is extremely intuitive to me, I have further prepared myself by studying with the leader of the field, Eric Maisel. The people who work with me seem to have one thing in common – in addition to a love for working with the specific tools of their art forms, they are looking to discover and deepen their own unique voice. This is where I come in. My clients include many types of artists and musicians, and even a competitive coffee brewer! Managing an ongoing creative process (or three) requires extraordinary skill, stamina and practical information that doesn't come naturally. These are far greater challenges than most have any idea about. A kind of “life within a life” that is surprisingly precarious. Everything hinges on being able to listen to the work – both, within you (what I call the silent studio) and, externally, as it is emerging on the canvas. Once your ear is tuned to this listening you need the space and the skills to respond to what the work is asking of you. These days, the internet gives us instant access to an entire spectrum of amazingly talented people working in every possible field. How can we possibly compare to all of this? It's very simple – by strategizing to bring forth what only we can bring forth. In my view we must do what no other can. I believe there is tremendous virtue in just this very act. Many people counter this with, “But doesn't it feel like everything has already been done in the field of music/painting/writing/dancing...etc?” My response is: absolutely not. However, we need to be prepared to rethink our toolbox – every aspect of our each of our tools and how we use them. 10 year period in the band King Crimson – a group considered to be one the most aggressively adventurous collective of musicians in modern culture. Since 2004, I moved on from Crimson to a variety of ongoing projects. These include a many bands, multi-media performances, collaborative East-West festivals in Russia and Eastern Europe, more solo work (12 CDs to date), running my own record label and establishing a creative coaching practice based out of Seattle, Washington. I am an avid martial artist. I came to this late in my life – when I was 47 and my son first joined a dojo (he was 8.) Aikido and Brazilian Jui-Jitsu (BJJ) are a huge part of my weekly pratice and deeply inform my musical and coaching life. I hold a Black Black (Shodan) in Aikido and a Blue Belt in BJJ – both earned from Bruce Bookman Sensei. 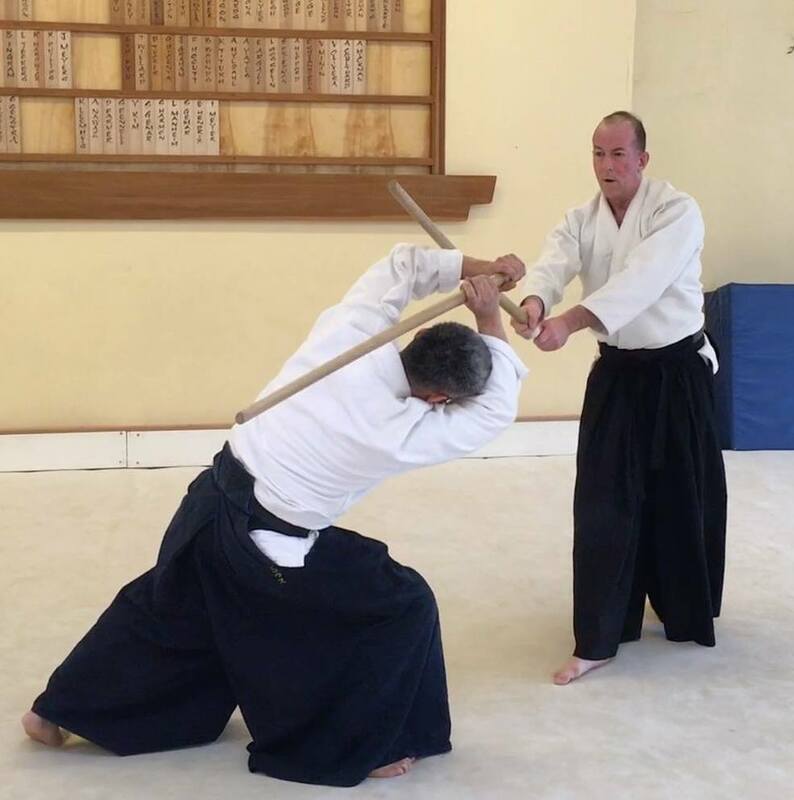 Aikido is a practice of blending with other people and their energy. It is as close to playing music as any physical practice I know. BJJ is an invaluable tool for learning how to deal with the constant presence of failure – something I have found extremely relatable to the life of the working artist! One of the things that has defined my approach to craftsmanship comes from my instrument. Called a touch guitar, this is a completely new stringed instrument. It is played like a piano with the fingers of both hands. Working with this instrument has forced to me rethink everything about my approach to, both, music and how technique gets developed in service to an aim. Because I have been through all of it. I am currently active as a searching artist. No rock that you have found yourself under, or wall you are bashing up against, is new to me. I have either found myself there or I know folks who have been there. Nearly all of us have found a way through these obstacles. And grown stronger in the process. Are you interesting in working with me as your personal coach?